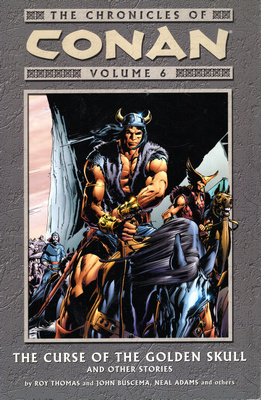 CONAN - VOLUME 6 THE CURSE OF THE GOLDEN SKULL AND OTHER STORIES. Tytuł: CONAN - VOLUME 6 THE CURSE OF THE GOLDEN SKULL AND OTHER STORIES. The curse of the golden skull and other stories.